For the last four years, our close family friend Tim Kelly has been residing part-time in the town of San Juan del Sur, Nicaragua. What started as a surf trip, transitioned to a real-estate investment, which later turned into multiple projects focused on environmentalism, volunteerism, and social activism. 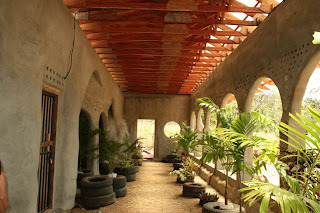 One of the most exciting milestones is Casa Llanta, which is an earthship made out of old tires, mud, and recycled bottles. 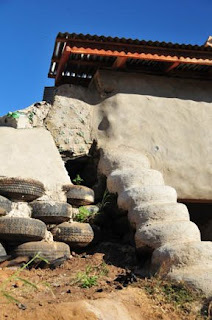 (When we took the family two years ago, one of the chores was to pick up litter to be used for building the earthship!) 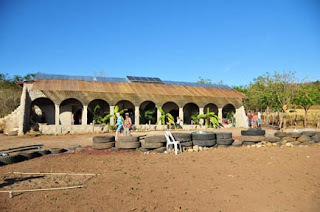 Casa Llanta's change-agents are marching forward to put sustainable developments like this at the forefront of educational travel. What a transformative opportunity, to take a vacation off-grid, and come back with principles to apply back home. These beautiful photos are courtesy of Kelly at Picasso Dreams. 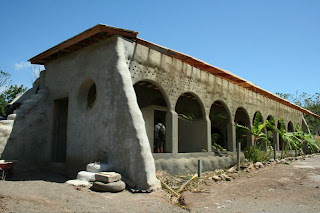 If you are curious about San Juan del Sur, check out more of Kelly's photos here. 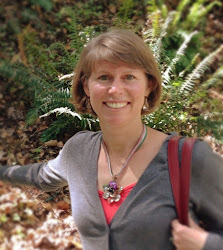 And if you'd like to take a virtual world tour, head over to Photo Friday at http://www.deliciousbaby.com! I've been to San Juan del Sur. It's beautiful and touristic. I also found it interesting that there is an estuary that separates the beach and on the other side of it is where the 10 of the richest families who practically rule nicargau live with all their flashy toys. I saw the earthships in New Mexico. They are really amazing. These photos really do them justice! I really love these pictures and the idea behind the development. Wow! That is something else. I like the first picture with the bright greens on the brown background. 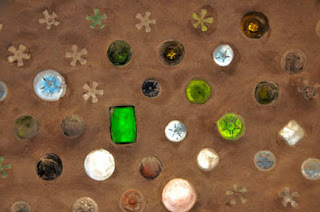 Fascinating how much stuff otherwise destined for landfills really can be re-used in beautiful and exciting ways. I love how a surf trip transitioned into so much more! Great story and great photos. Thanks for the photos! I loved the visit to San Juan del Sur. I'm traveling vicariously through your family's adventures, Lorraine! Please keep up the photolog for us homebodies.